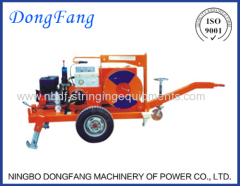 Underground Cable Laying Equipments and Tools are used for installation of underground power cables or communication cables (optic fiber cables). 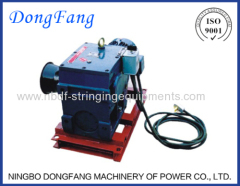 We have designed series of equipments for underground cable installation: Cable winches, Cable Pushers, Cable Drum Trailers, Optice Fiber Cable Blowing Machines. 4 Ton Hydraulic Cable Winch Puller is used for pulling underground cable with self steel wire rope which is wound on the capstand of puller. 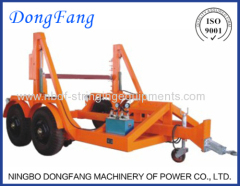 The electric motor driven Cable Pushers are used for installation of underground Insulated Power Cables. The caterpillar structure is good for cable. Cable Drum Trailer is used for transportation of big cable drums on working site, and also can be used for lifting or supporting cable drums on site. 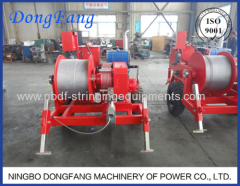 Cable Pulling Winch is used for pulling underground cable in cable installation project, the motorised winches can be also used for overhead line. 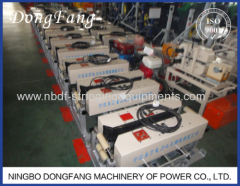 Group of Cable Laying Equipment has been presented above, want more	Cable Laying Equipment and Underground Cable Laying Equipment, Please Contact Us.